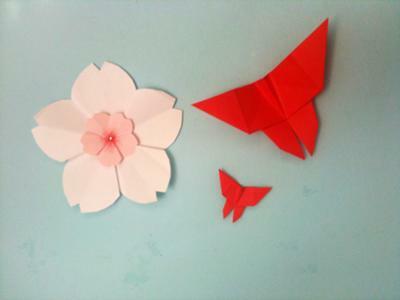 Some time ago I made this Sakura flower and yesterday through this page I found these beautiful butterflies to make the flower company in my wall. They are made with simple colour papers, but the red center of the flower is painted with watercolours and has a fake brilliant attached to it. Essay Writing Service :Like all insects, butterflies and caterpillars have a tough skin, referred to as associate degree System skeletal. Their systems skeletal protects them, however, it does not permit them to grow bit by bit like we have a tendency to do. They need to molt whenever they require to upsize. Butterflies do all their growing as caterpillars. When they remodel into adult butterflies, they now not molt or grow- it's their ending. The butterflies look exactly like the ones on this website! Looks so perfect :) However, the sakura flower doesn't look like origami... Did you cut it out? how pretty is this how did you make it? it's so cute! Your choice of colors is very pleasing.